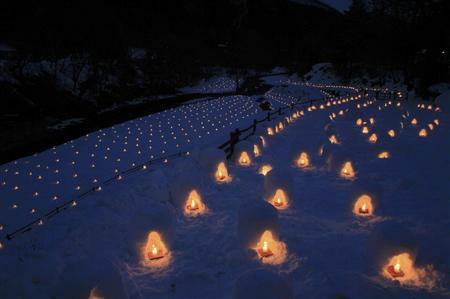 FROM the front lines of scientific research in Japan comes some news that you can use for the holidays. 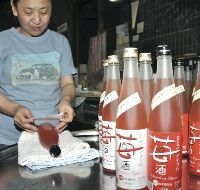 Two pharmacologists, Oshima Shunji of the Asahi Lab Garden and Aizawa Koichi of Kagome, conducted a study that found the combination of alcohol and tomato juice stimulates the metabolism with the effect of accelerating sobriety and reducing or preventing hangover symptoms. Dr. Oshima said the inspiration for the research came from his desire to enjoy after-work drinks with his colleagues and his knowledge that too much booze was bad for you. He wanted to discover what food consumed with alcohol had the most beneficial effects, and decided to start with vegetables. After finding that vegetables didn’t do a whole lot, they said they thought of using tomatoes. Drinkers’ wisdom has it that tomatoes either prevent or quickly cure hangovers. Then there were the examples of the Bloody Mary and the Red Eye, which I had never heard of before reading this report. The researchers started by giving the water-soluble constituents of tomatoes — i.e., tomato juice — and lycopene to mice, injected them with alcohol, and then measured the concentration of alcohol in their blood. The results inspired them to try a similar experiment with humans. 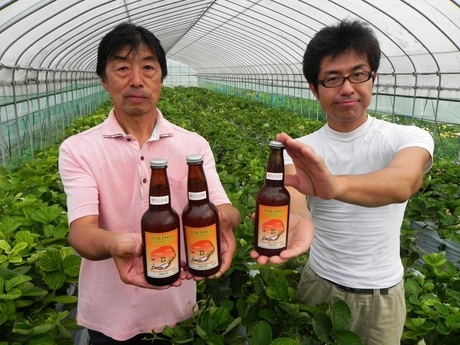 They give 12 healthy men tomato juice with 5% alcohol, and then shochu with 5% alcohol. Their measurements showed the tomatoes reduced the concentration of alcohol in the blood by 30%, accelerated the process of breaking up the alcohol in the body, and eliminated it from the system 50 minutes faster. Those with the proper scientific detachment will be interested to learn that the water-soluble constituents of tomatoes activate the enzymes that break up the alcohol in the liver. Everyone else will be interested to learn that Dr. Oshima’s employer makes Asahi beer, and Dr. Aizawa’s employer Kagome is a food product company whose primary products include tomato juice and catsup. 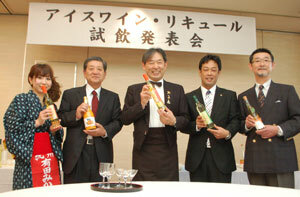 The two companies jointly sponsored the research. They were already very familiar with each other because they finalized a mutual shareholding agreement in February. Now who says scientific research is dry! Looks like these Tomato-chans knocked back a few Asahis before filming started. 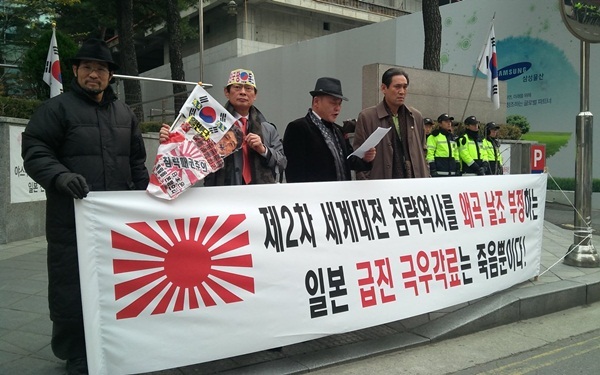 MANY South Koreans continue to reveal in word and deed their lack of interest in better relations with Japan, and their antipathy to the idea itself. It doesn’t make any difference what the Japanese do — they’re not going to change. The photo above shows one of several organized groups of demonstrators in front of the Japanese embassy in Seoul last week. The demonstration was to protest the content of Japan’s Liberal Democratic Party’s election pledges released on the 21st. The LDP isn’t calling their promises a manifesto (British style). After the ruling Democratic Party congratulated themselves for bringing manifestoes to Japan, and then used theirs as toilet paper once they took office, manifesto has now become a dirty political word. But back to the story. I visited the LDP website and read the Japanese version of the document. (It’s not in English yet.) 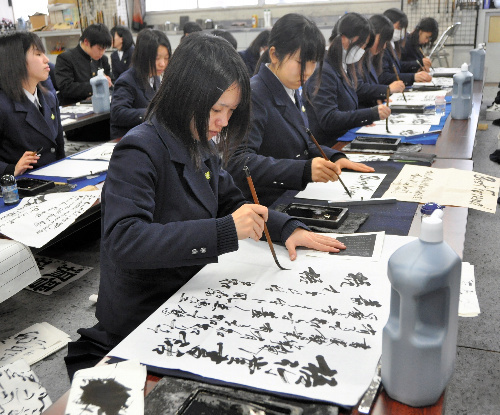 Under the Education category, the LDP promises to encourage students to take pride in traditional culture, to improve and revamp textbook screening, and to remove the “neighboring country clause” adopted in the 1980s for including considerations of the wishes of neighboring countries when editing textbooks. But telling the truth would deny a significant portion of South Korean society its favorite pastime. They just aren’t happy unless they’re unhappy about Japan. Then again, this same element thinks Prime Minister Noda is also of the “extreme right”. That eliminates any possibility the Japanese will take what they say seriously. Here’s an excerpt from an Chosun Ilbo editorial that appeared on 22 November. “The Liberal Democratic Party’s promise to elevate Shimane Prefecture’s Takeshima Day into a national event is proof that Japan has lost its reason. There are now concerns that if this is accompanied by a promise to deny the government coercion of comfort women, it will be impossible for Japan to return to a normal path. It is clear that this denial will not only anger China, Taiwan, the Philippines, Thailand, Vietnam, Malaysia, and Indonesia. There is no one in Japan who can put the brakes on this. The LDP promises include the stationing of personnel on the Senkaku islets, which are the subject of a territorial dispute with China. * Hysteria is the only word that can be used to describe this. * Taiwan, The Philippines, Thailand, Vietnam, Malaysia, and Indonesia will not be angered by any of this, because they haven’t been before. In fact, the Indonesians years ago told the Japanese human rights hustlers trying to establish the same comfort woman scam there to get lost. The only countries to get angry are the two trying to use historical issues for rent-seeking. * What Japanese government personnel are stationed on what part of Japanese territory is certainly not the business of the Chosun Ilbo. But then this is from a country that can’t get it up to do anything when another country sinks its naval vessels or unleashes an artillery barrage on its territory, killing military personnel and civilians both. * The three leaders will not be able to discuss the future of the region as long as two of them insist on reopening and discussing past issues that were resolved by treaty decades ago. There has been for many years an official Japan-South Korea Legislators’ League to promote ties between the national legislators of both countries. Former Prime Minister Mori Yoshiro was particularly active in the group. The position of chairman on the Korean side has been vacant for six months, which is an unusual state of affairs. They finally got around to naming a new secretary-general, who is responsible for the actual liaison work with their Japanese counterparts. The new man is Kang Chang-il, an opposition member of the assembly. In May 2011, he indulged in the Korean version of gesture politics by visiting the Northern Territories, the four small islands illegally seized by Russia after the Japanese surrender in the war. Now comes word that a Korean group in Detroit wants to erect a comfort woman memorial in that city, and are waiting for final authorization from the city to proceed. In addition to wondering who among the people remaining in that dying city will much care about it, one also wonders what the Koreans think they will accomplish other than poisoning bilateral relations into the future. The only way to describe this is to say that some people seem to enjoy being aggressively obnoxious. That isn’t a good strategy for creating friendly relations with anyone. Even if people not directly involved aren’t the immediate object of that obnoxious behavior, they realize on some level that it could just as easily be directed at them someday. The Japanese Cabinet Office released the results of their periodical survey of the public’s views of foreign affairs. Here are some of them. Do you feel friendly to South Korea? No: 59.0%. This percentage is higher than the one for yes for the first time since 1999. How would you characterize bilateral relations? They also asked the same questions about China. Do you feel friendly to China? Yes: 18.0%, down 8.3 points from the previous survey. It is the lowest percentage since the question was first asked in the poll in 1978. Good: 4.8%, down 14 points. There are at least two conclusions that can be drawn from these results. The first is that one out of every 20 people you encounter might as well be living in a different galaxy. They sure aren’t paying attention to events in this one. 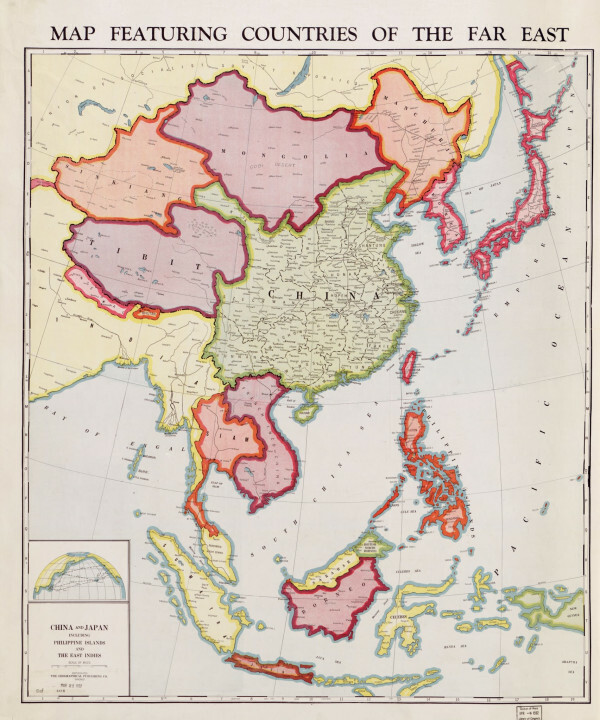 The other is that the Japanese are reaching, if not past, their limit of tolerance for Korean and Chinese behavior. As this previous post indicated, new varieties of the Korean alcoholic beverage makgeolli have become popular in Japan in recent years, mostly among women. 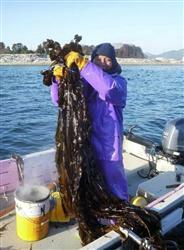 South Korea shipped 39,000 tons of the hooch to Japan in 2011, an increase of 2.5 times from the previous year. That isn’t happening this year. 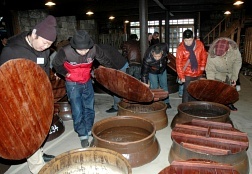 South Korean customs reported that makgeolli exports for the January – September period so far this year totaled 21,743 tons. That’s a 28.6% decline in volume from the same period in the year before, and a 28.0% drop in value. South Korean attitudes and behavior aren’t leaving a good taste in people’s mouths. It’s getting harder to get makgeolli past the throat in those circumstances. NHK-TV has decided not to invite any K-pop performers for its famous New Year’s Eve musical program, Kohaku Uta Gassen. Three groups appeared last year, and those three are still performing in Japan, but the network decided they would not be conducive to creating a relaxing and pleasant atmosphere for the holidays. The big attraction this year will be actor/singer Tachi Hiroshi singing a medley of the late actor/singer Ishihara Yujiro’s hits. As a young man, Mr. Tachi was associated with Ishihara’s production company, Ishihara was the leading male star of his generation, and he was the younger brother of Ishihara Shintaro. Here’s a video of cluelessness on a level approaching that of Joseph Biden. 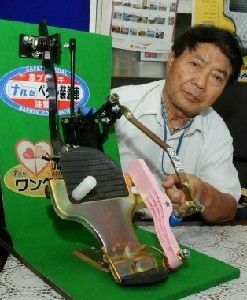 A South Korean man is performing parlor tricks with alcoholic beverages for the amusement of an international audience. He gives the tricks the generic title of “bomb liquor”. About three minutes in, he performs what he calls the Hiroshima trick. It forms a boozy mushroom cloud. The Japanese ambassador is in the audience. Then again, maybe it isn’t Bidenesque. Biden is a cloth-headed demagogue. This guy just doesn’t care. 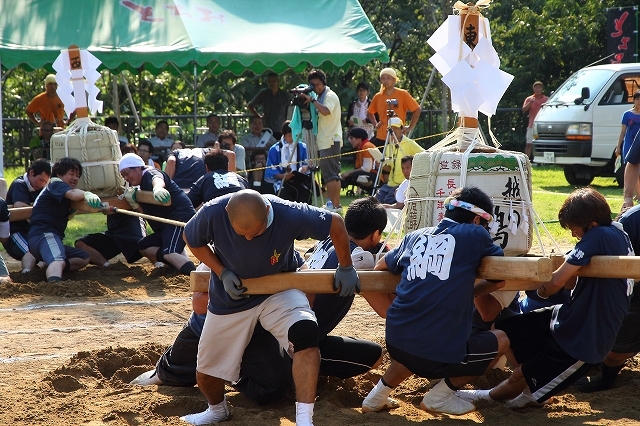 Scenes from the National Sake Barrel Tug of War Championships held at the end of last month in Nagaoka, Niigata. The event started in 1965, and nine male and five female teams participated this year. Each match was divided into three rounds, and the winner was the first team to win two rounds. Note the paper folded into a zigzag shape on top of the barrels. That’s called a shide, and is used to denote a sacred space in Shinto. Do you know what day 15 August is? That’s right — it’s the day the Kirin Challenge Cup 2012 starts! 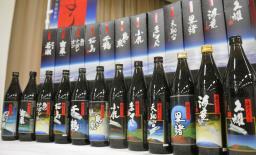 There’s also the Kampai Goal, in which participants can win a case (24 350-milliliter bottles) of Kirin’s Ichiban Shibori. We’re now testing it, so give it a try! 15 August is the date of the Japanese surrender in the war, which even the youngest schoolchildren know. EVERYONE who’s seen a movie whose action takes place aboard a naval vessel knows the phrase, “The smoking lamp is lit”. It originated in the era of wooden sailing ships, when preventing fires was the first order of business and permission to smoke was signaled by lighting a lamp hanging at the forecastle. Years ago, the sake establishments in Kyoto had a similar signal that must have been more eagerly awaited by landlubbers and swabbies alike. The proprietors of those establishments hung a ball made of leaves from the Japanese cedar to announce that a new batch of sake was finished and ready to be poured down the hatch. Nowadays all that’s required is to look for a tavern where the exterior lights are still on and the noren (shop curtain) is suspended over the door, but the custom of leaf ball hanging still lives at the Matsuo Taisha, a Shinto shrine in Kyoto. In fact, a male parishioner put up three last week — one at the main building, one at the administrative office, and one at the storehouse where the mikoshi, or portable shrine for the deity, is kept. This is a Shinto event, after all, so of course they’ve maintained the liquor connection. The balls are hung from the eaves with care as part of the Jo’u Festival held at the shrine every autumn in supplication for the safety of the sake brewers. As every devout worshipper knows, the first commandment for getting righteously ripped is divine protection for the brewers. 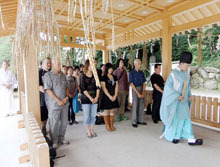 The sake/Matsuo Taisha link is a very long one. A shrine was first established on the current site in 701 — note the triple digits — though they didn’t settle on the Matsuo name until 1950. It’s associated with the Hata clan, a prominent immigrant clan whose origins are in China and who are thought to have come to Japan from Korea in the 3rd Century. 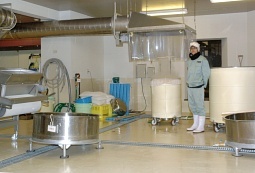 According to the barroom scuttlebutt, one of the jewels of continental culture the Hatas brought with them was sake brewing techniques. 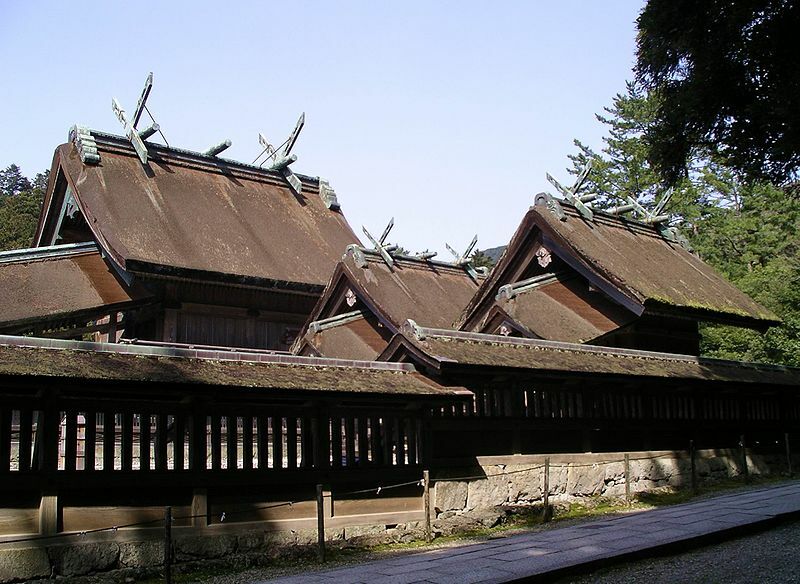 The shrine’s association with grog in the popular imagination is at least several centuries old: It’s mentioned in that connection in a kyogen comedy from the 16th century. 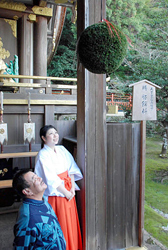 In an interesting turnabout, the ball of leaves was originally hung as part of the festival to denote the start of a new sake batch, rather than its completion. The heavenly spheres are about 60-70 centimeters in diameter, and they’re made from the trees in a grove at nearby Nantan. 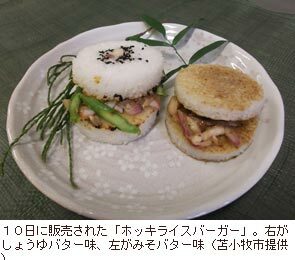 The festival itself has been expanded to include the manufacturers and wholesalers of other fermented food items, such as soy sauce and miso paste. This year, representatives of about 50 companies showed up to receive their blessings. What do they give in return? Take a look at that wall of sake barrels in this brief video to see. BAR-HOPPING is a casual affair for most people — they meet at one joint and when the spirits move them, they decide where they’ll hop next. 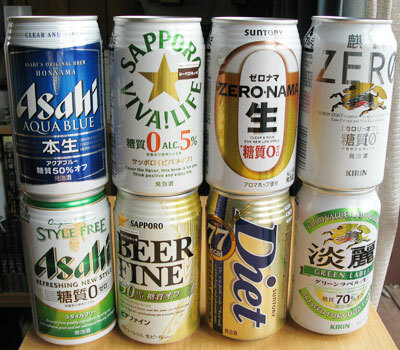 Most Japanese boozers make their choices the same way, but here they don’t hop from one place to another. They climb the ladder — the expression used is hashigo-zake, hashigo being a ladder. 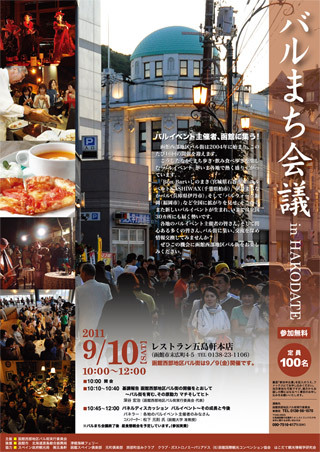 Up north in Hakodate, however, they’ve turned liquor ladder climbing into an official event, with a schedule and a pre-determined itinerary. The logistics are made easier because there’s a district in town called Bar-gai, where many eating and drinking establishments are concentrated. Groups throughout the country thought that was a splendid idea, so the Hakodate Bar-gai Executive Committee decided to hold the first national Bar District Conference on Saturday for everyone to share their experiences. Roughly 100 people from 18 different regions showed up, including Fukuoka City and Itami, Hyogo. I’ll say! It’s also important to maintain your balance so you don’t fall off the ladder during a Saturday night of bar-hopping! The participants at this conference had a more sober outlook, however. After the morning meeting, everyone went out for lunch instead of out ladder climbing. The idea of an organized bar-hop in general, and a non-profit sponsoring an evening of bacchanalia in particular, will make a lot more sense once you’ve seen a video of the 2008 Hakodate barwalk. No sawdust, peanut shells, or air hockey tables here. They even chose a nice place for the customary ramen shop stop on the way home. 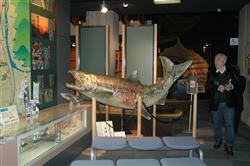 And of course Idea Kyushu-Asia has a Japanese-language website. READER Camphortree wrote in this week to suggest that incipient Alzheimer’s was one possible explanation for Prime Minister Kan Naoto’s behavior. While that’s possible — nothing can be ruled out with Mr. Kan, after all — my suspicions lie in the direction of a long, lush life of alcohol consumption. The earth has passed through 4.6 billion years of history, but we have relied on nuclear power for only a few dozen of those years. Therefore, I do not think it holds that we must rely on it for eternity. Doesn’t that sound like the sort of wisdom you might hear dispensed with a solemn, authoritative air by a slightly gasping and swaying geezer with purple veins in his nose and gravy stains on his lapel, sliding over a few bar stools to strike up a conversation? The sort of fellow who would seize on any comment you made, no matter how brief or noncommittal, to expound on his liquid insights in a different direction altogether? 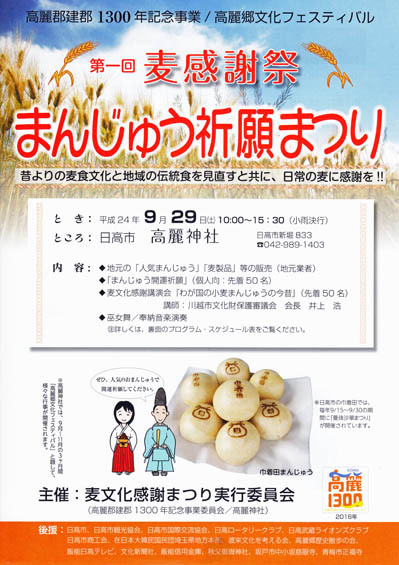 Such as this one the prime minister belched forth at a public meeting in Nagano, which was reported in the press on 1 August. The old men (おじいさん) who went to the mountains 200 or 300 years ago to gather wood were able to manage everything with that firewood or whatever. All we have to do is to convert that into a new technology, and that is completely possible. Don’t forget, he was awarded an engineering degree from a reputable university. It brings new meaning to the word “technocrat”. It’s a mystery why guys like this never seem to have to go to the bathroom so you can move to another part of the bar (or another bar altogether) before they get back. The amount of fluids they consume combined with the size of their prostates should mean their frequency of head calls would be higher instead of lower. We can’t take a risk even once that would destroy the planet, even if there’s just a one-in-one hundred million chance. It has to be the liquid courage that gets him out of bed and out of the house every day to defy the odds that the earth could split open at any moment and swallow him up right there on the sidewalk! Here’s another speaker three sheets to the wind who leaves his audience in tears.